Katie Mullahy Quinn, CCP is a knowledgeable foodie and has worked for several restaurants and hotels in food service roles such as a manager, server and bartender. She worked in State Government for several years and even had her own Political and Fundraising Consulting firm. Katie has a BS in Business with a concentration in management and finance from Worcester State University. For the last 4+ years before starting Mullahy’s, Katie worked for a large Specialty Grocer and for the last 3 years managed the Specialty Food Department in one of its stores. 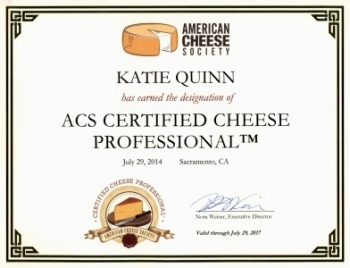 In 2014, Katie became a Certified Cheese Professional or CCP. 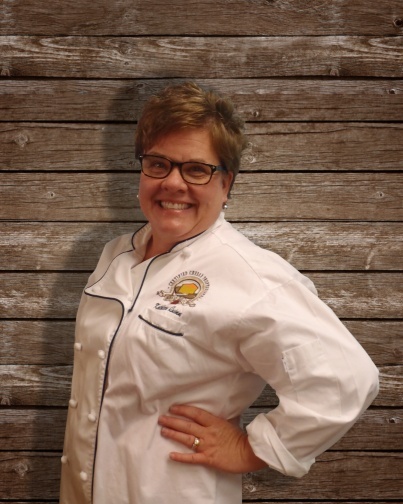 She is part of a group of a little over 500 Professionals nationwide who have passed a National Exam put on by the American Cheese Society. The CCP Certification acknowledges a person’s commitment to cheese and caring for it and working with others to educate and help with the cheese community. It is similar to a Sommelier training in Wine and the ACS exam evaluates a person’s skills and knowledge about working with cheese. The CCP is tested on various areas associated with cheese including cheese composition, dairy and creamery knowledge, the ripening process, tasting, distribution and retail right through caring for cheese at home.